Do it yourself: Dye your jeans a new color with one of these techniques. Give your denim a new lease on life by dyeing your jeans a different color. 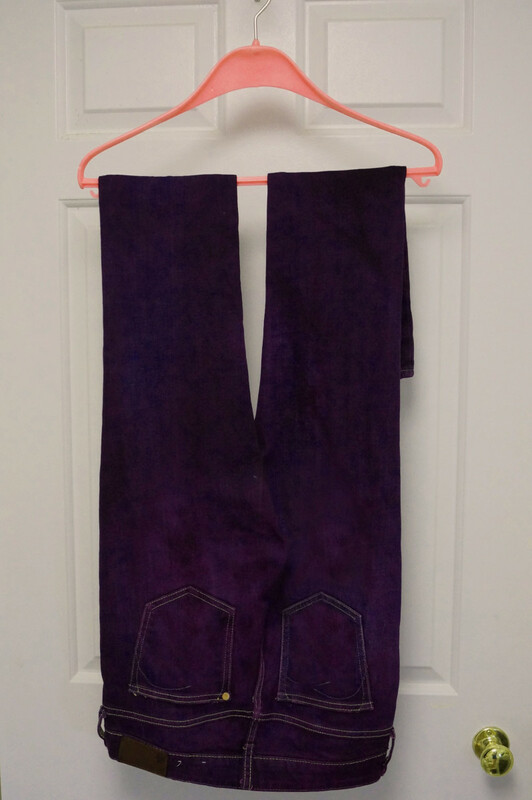 These jeans were colored with Rit dye. My favorite fabric is denim. 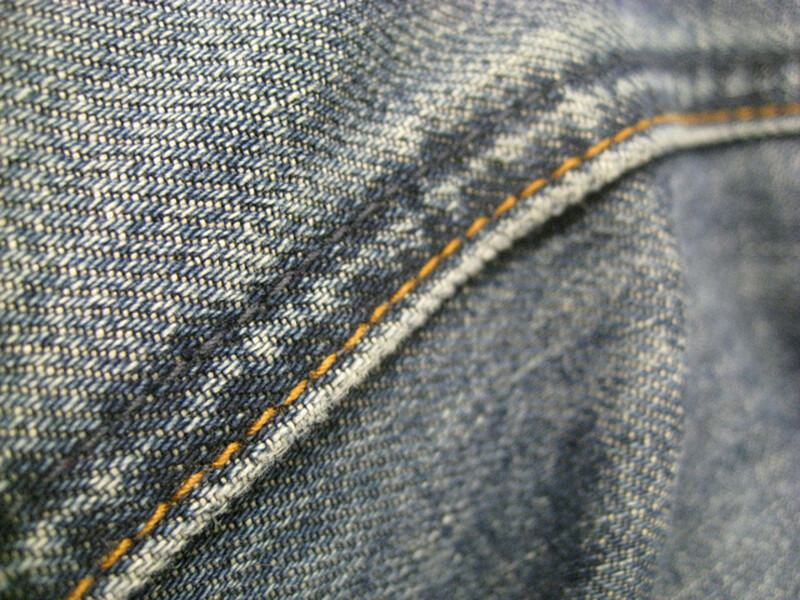 The word "denim" derives from "Serge de Nîmes," the French name for a very rugged cotton fabric in twill weave. Levi Strauss made the first classic jeans from denim. I love jeans because they are simple, casual, and comfortable. I have many different types of jeans, but my favorites are a pair made from dark-blue denim. 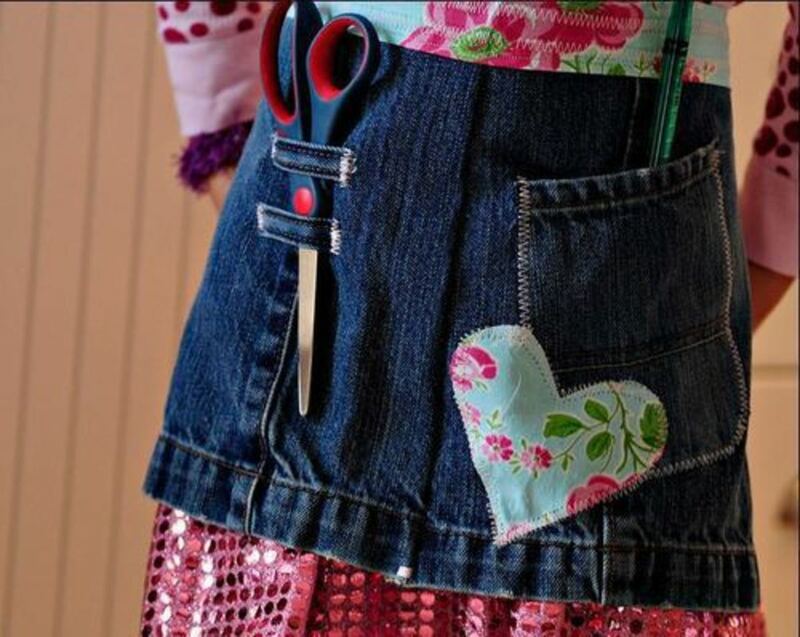 The idea for this DIY first came when I noticed some jeans in my wardrobe I hadn't worn for quite a long time. I asked myself what should I do with them—throw them away? No, they were too good for that. That's when I came up with the idea of dyeing them. I have tried many different techniques, and the following methods are my personal favorites. Light-colored jeans can be dyed almost any color. Dark-colored jeans must be dyed a color darker than what it is already. So for dark blue jeans, sometimes the only option is to dye them black. Many seams are sewn with synthetic fibres. Often the seams will not accept the dye. This results in a seam that contrasts with the rest of the newly-dyed pants, something to keep in mind when dyeing. Rivets, appliqués, and rhinestones may also be a problem during dyeing. Tip: Try to remove any leather bits (such as the patch bearing the brand's name) and appliqués from the jeans before dyeing. Afterward, you can sew these parts back on. Nowadays you can dye your clothes with high-quality textile dyes, such as those made by Dylon and Rit. These dyes can come in liquid or powder form and are available in different colors. You can either dye your jeans in a bucket/sink or in your washing machine at 30 degrees C (85 degrees F) to 40 degrees C (105 degrees F). How much of the textile dye you need will depend on the weight and desired color intensity of the jeans. Follow the manufacturer's instructions on the package. 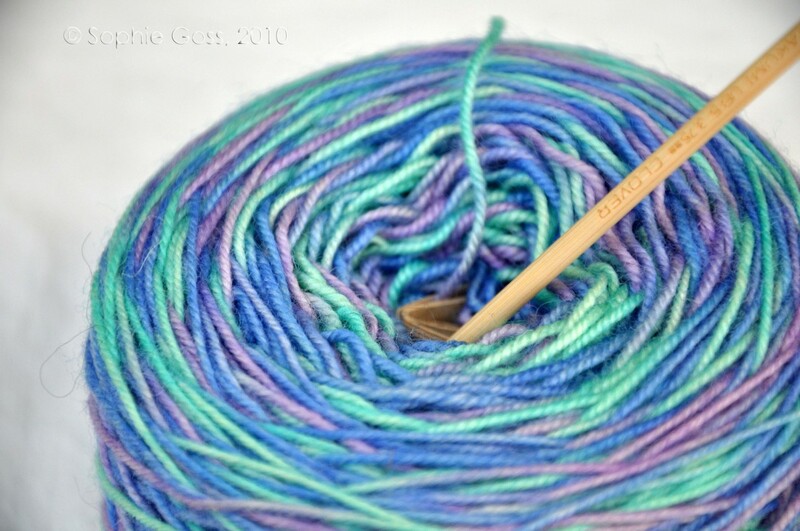 Tip: Please avoid cheap textile dyes as they often result in patchy coloring. On certain fabrics, such as cotton, a cheap dye may not work at all. The materials you need to dye your jeans in the washing machine with Dylon textile dye. Dylon has a wide range of dyes, which makes it a cheap way to jazz up your old clothes and fabrics. 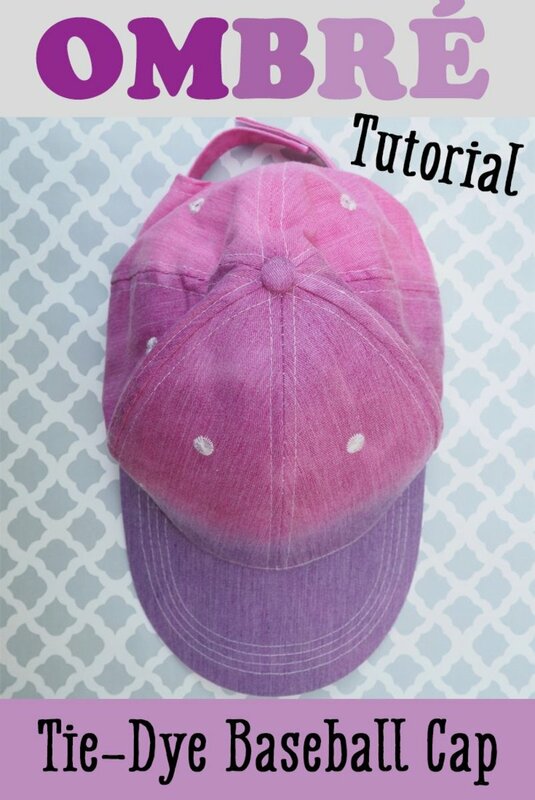 Here's how you dye your jeans in the washing machine using Dylon textile dye. 1. Weigh the jeans to determine how many packets of dye you will need. One packet of Dylon dye can dye up to 600 grams (about 1.32 pounds) of clothes or fabric, so this is usually enough for a pair of jeans. If it weighs more than that, adjust the amount of dye accordingly. 2. Wash your jeans thoroughly in the washing machine. You do not need to dry them. 3. Put on a pair of gloves and fill the washing drum (not the dispenser) with the Dylon dye. Next, add 500 grams (1.10 pounds) of salt to the dye. This amount of salt is used no matter how many packets of dye you may need. 4. Put your damp jeans in the washing machine. Wash it at 40°C (105°F). This temperature is usually called the cotton cycle, permanent press, or whites. Make sure that the cycle is set to normal, not pre-wash, half-load, nor economy wash. Step 4: Washing your jeans in the washing machine filled with Dylon dye. 5. After the first cycle, wash your jeans again at a 40°C, but this time add detergent. 6. Finally, take your jeans out of the washing machine. To clean your washing machine, put some detergent in your washing machine and run once more at 40° while empty. If you using a particularly strong-colored dye, such as black, dark blue, or dark purple, you may want to repeat this step once more. 7. Let your jeans air dry—avoid direct sunlight and heat. The next two times you wash your jeans, wash them separately or with similar colors and air dry once more, as colors may still fade. If you are dyeing a material that is already colored, the colors will mix. For example, a yellow dye on blue jeans will make them green. When dyeing dark jeans, first use a Dylon pre-dye to lighten them. Spots, bleach marks, and faded patches will dye more brightly than their surrounding material. Do not use more than five packets of dye at once. In order to avoid patchy coloring, never fill your machine above half-capacity when dyeing clothing. Use gloves to protect your hands from the dye. In case any dye gets into your eyes or mouth, wash it off instantly. You can dye your jeans in a bucket or sink with Rit dye. If you are afraid of messing up your washing machine, you may also dye your jeans the old-fashioned way. The following instructions will show you how to dye your jeans in a bucket or sink with Rit dye. Warning: You should never use Rit Dye in a sink or tub made of plastic or fiberglass as it may stain. 1. Soak your jeans in hot water. If you have more than one bucket or a divided sink, leave them soaking as you prepare. If not, set them aside on the counter. Thoroughly soaking the jeans allows the dye to spread more evenly. 2. Fill your bucket or sink with the three gallons (11.35 litres) of hot water. 3. If using powder, pre-dissolve it in two cups of hot water. 4. Pour the pre-dissolved mixture or the store-bought liquid dye into your container (bucket or sink). Stir until it has mixed evenly with the water. Step 4: Pour the pre-dissolved dye into your container. 5. Add the jeans to the dye bath. Then use the spoon to stir constantly for about 30 minutes. Step 5: Add the jeans to the dye and stir for 30 minutes. 6. 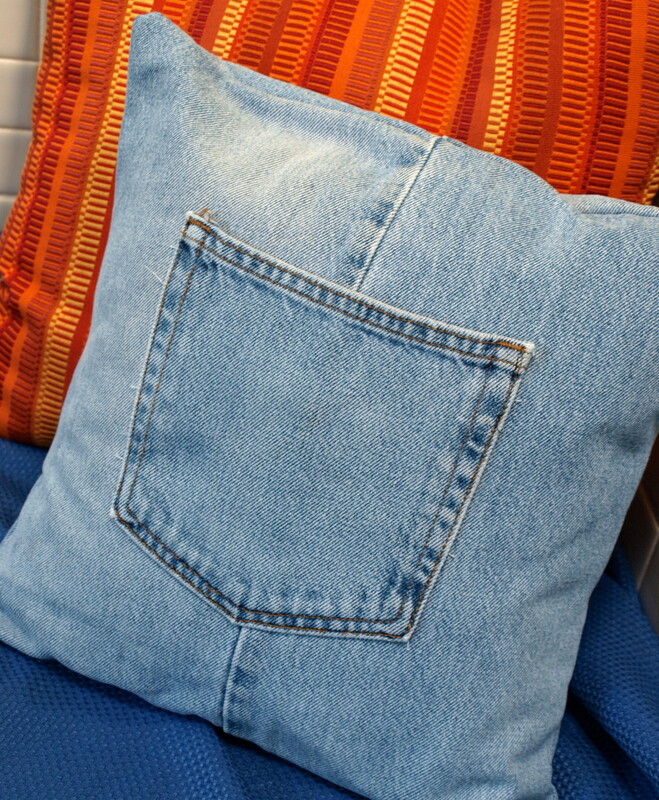 Afterward, drain your container, then rinse your jeans in warm water. Gradually lower the temperature of the rinsing water until it runs clear. Step 6: Drain the container and rinse your jeans. 7. After you have rinsed your jeans, wash them in warm water using a mild detergent. 8. Rinse thoroughly once more in cool water. 9. Finally, let the jeans air dry or use a dryer. Step 9: Let the newly-dyed jeans dry. 10. Clean your bucket or sink with chlorine bleach. You may also use chlorine-based powder, liquid, or gel cleanser. 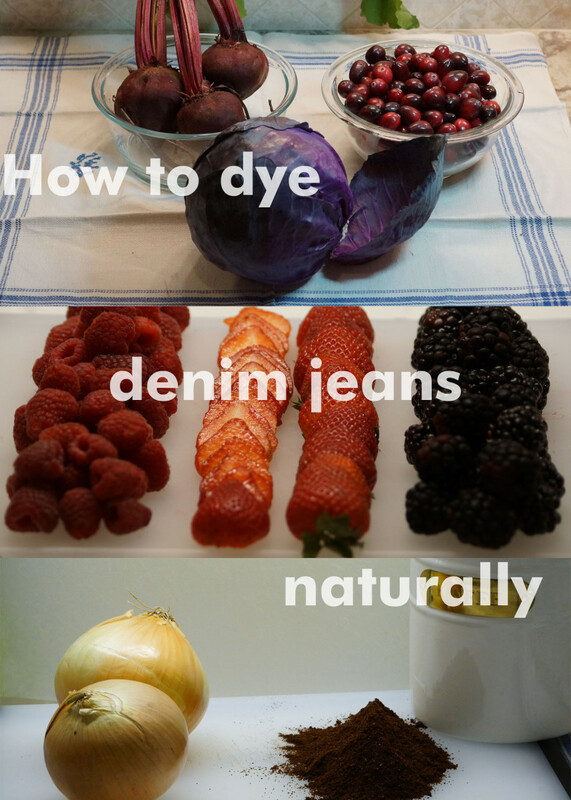 How to dye your jeans with natural food and herbs. Clothes existed in many beautiful natural colors before the chemical dyes were invented. If you are interested in learning how to dye your jeans without chemicals, read the following instructions. 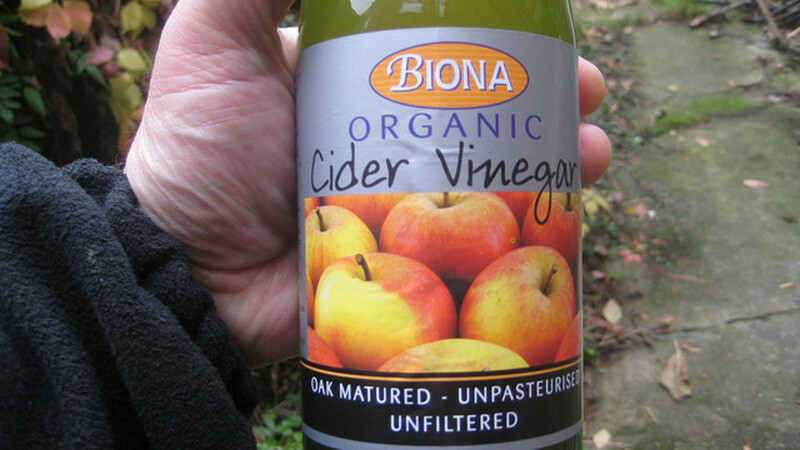 Pretreat your jeans before you dye them with natural foods or herbs. 1. First of all, pretreat the jeans for accepting the dye. The fibers are more able to accept great amounts of dye when they have been pretreated. You don't need chemicals for this. Salt and water are enough. Mix ½ cup of salt and eight cups of water in a pot. You may use common table salt. Soak your jeans in the salt solution. If the amount of solution is not enough to soak your jeans, you can make additional salt water at a ratio of 1 part salt to 16 parts water. 2. Put the pot with the soaked jeans on the stove and heat the liquid for one hour. The salt solution must not boil but should be hot. Don't worry: cotton fabric is very durable, and your jeans won't get damaged. 3. Remove the jeans from the solution and drain the pot. Congratulations: you have pretreated your jeans without chemicals. 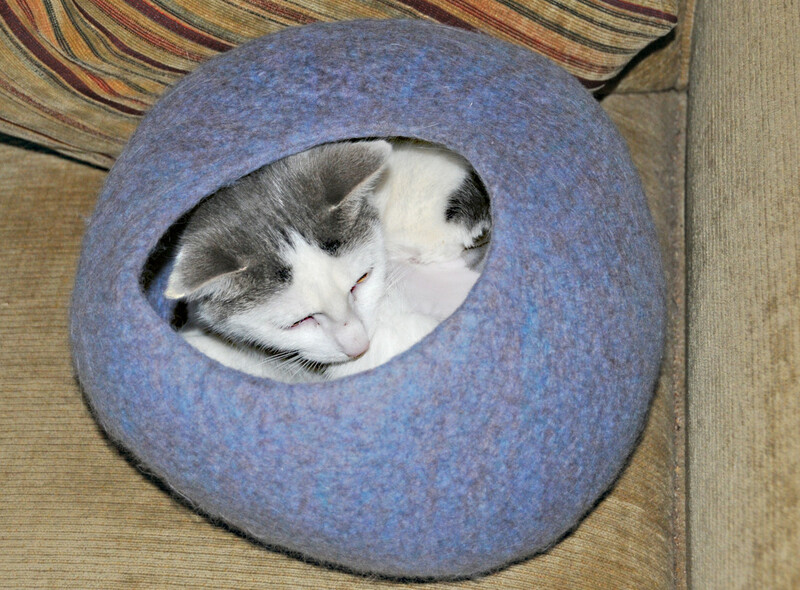 Carefully press out the water out of the fabric and lay them aside. 4. Add the chemical-free dye of your choice (see natural dyes, above) into the pot and add water so that you have a ratio of one part dye to two parts water. Place the pot on the stove. Let it simmer for one hour on a small flame. 5. Pour the content of the pot through a strainer into a second pot. 6. Place the jeans in the freshly-strained dye. Make sure that the jeans are submerged and the fabric is not too crumpled—you want the dye to be able to soak freely throughout. The jeans should be soaked at least 12 hours in this dye. The longer they are soaked, the stronger the color will be. The finished product after naturally dyeing jeans. You have to expect your naturally-dyed jeans to fade with every washing. You can slow down this process if you treat your naturally-dyed jeans with a fixative solution. There are commercially-available fixatives. However, if you want to avoid chemicals, you may protect your jeans against fading with a handy, household ingredient: vinegar. Just prepare a vinegar fixative by mixing one part vinegar with three parts water, then soak the jeans in the mixture for a few hours. Note: You may try out different natural products to dye your jeans like different berries, herbs, vegetables, roots, and the like. Just experiment a little bit first by using a test piece of cloth to see how it will result. Have you ever dyed your jeans? Which of the following techniques would you prefer? Hey! I recently met your blog, and i only want to say that since now i’m following you, you’re fantastic, so trend. And this idea it's fabulous! moonlake, thank you for pinning my hub. I'm glad to hear you liked it. What a good idea I never thought about dyeing jeans. Enjoyed your hub. Pinned it. Thank you, torrilynn! I'm glad you liked my hub. Nice hub. Dyeing your jeans can help yourself to reuse and reinvent a new look. Voted up. Thank you so much, Michelle! I really appreciate your support very much! A great hub for mums I'm sharing again, Janet! joedolphin88, thank you for stopping by my hub. I'm glad it was helpful for you. Thank you, now I can just dye my gf's jeans and never buy her a new pair and just clean them and dye them and she'll think there brand new. This is a very helpful article for men in relationships on a budget. Thank you so much for your kind words, Rebecca! This is a fantastic looking hub. Good luck with your website! Thank you for sharing your opinion about this, truthfornow. Dyeing in the washing machine is quite a messy thing but you can clean everything afterwards. Well, I would be scared to try to dye them in my washing machine. But, I do like the idea of dyeing jeans. I wear jeans every day and so that would be a great way to jazz them up. You are welcome, Beth! I'm glad you found this useful. hen house forums, I'm really delighted to hear my hub was chosen as your weekly random pic from HubPages. I have no objections and I have already visited your site. Thank you for your recognition. Congrats, we chose your hub as our weekly random pic from hubpages. Your hub will be advertised on our site for one week. we read it and think that it deserves some recognition. If you have any objections or wish to see your ad. http://thehenhouseforum.blogspot.com/ You can email staff from there with any questions, once again congrats! Welcome, harsha! I'm glad to hear my article was helpful for you. I appreciate your positive feedback. Welcome, VVanNess! Thank you for your kind comment. I'm glad to hear you love the tips. Welcome, RTalloni! Thank you for your positive feedback. I'm glad you liked my tips. Great article! Love the tips! Denim rules and being of the opinion that everyone should wear this wonderful fabric all the time ;) I applaud this encouragement to get all possible mileage out of jeans! Thanks for sharing, Michelle! Soon, I will write new hubs. Hi Torri, thank you for reading and commenting. I'm glad to hear you found my hub helpful. Your comments are always appreciated. Wishing you happy Holidays, too. I would have never thought of dyeing my jeans. Could be helpful in saving money from buying a new pair of jeans and a dun project to create something new from something old. Can't wait to read more. Best of Wishes. Happy Holidays. Glad to see you on another hub of mine and great to hear you like these ideas! Wow! 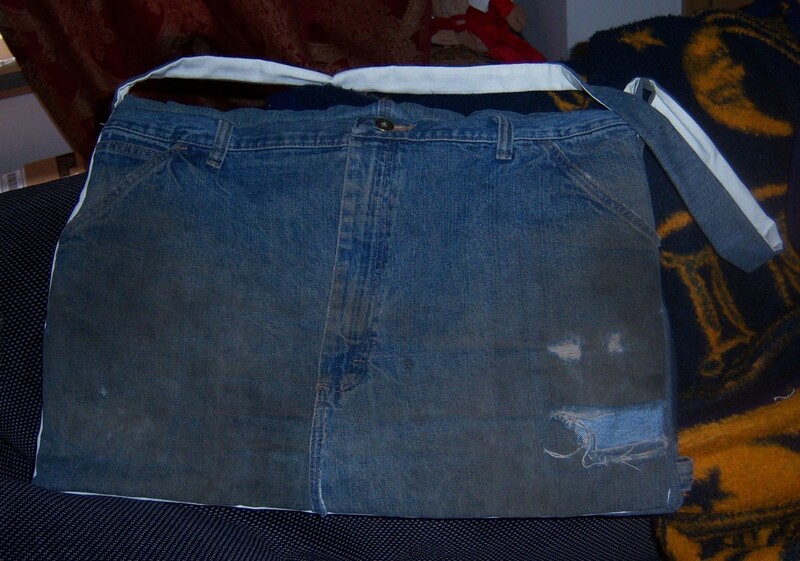 Great ideas for dying jeans all kind of ways! Thanks! DDE, thank you for stopping by and leaving a kind comment. Glad to hear you found my hub useful. A helpful hub and well advised step by step on how to dye jeans I always wanted to know how to get it done. Voted up and useful. Welcome, ChristyWrites! I'm glad you found the way to my hub. Thank you for your nice comment and interest. It is very much appreciated. Sometimes it is not easy to throw away some favorite clothes. 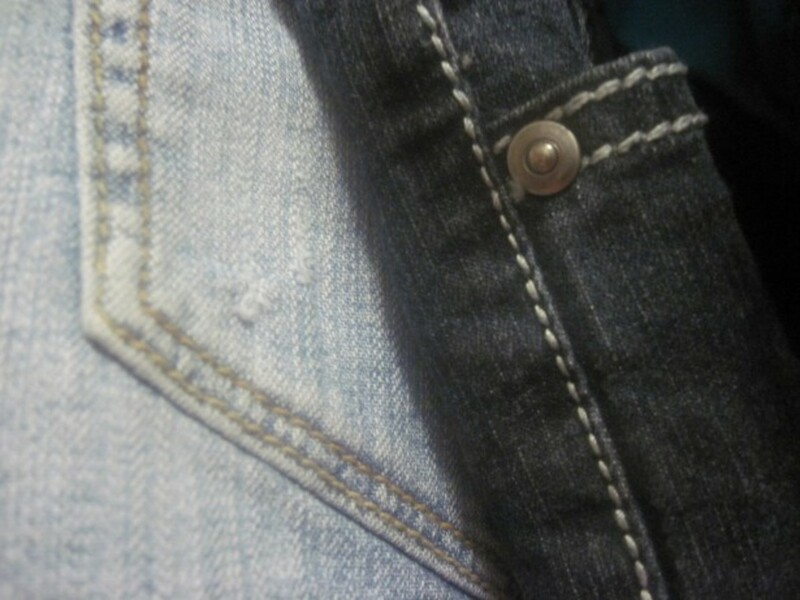 Your tips will help breathe new life into older pairs of jeans. It would certainly be nice to stretch out the life of those favorite pairs of jeans. You are very welcome, Colin! I know that life can be very tough but I hope and pray that everything will be fine for you and your issues can be solved. Thank you for supporting my writing, too and many thanks for your wishes you send to my family and me. I'm also sending my best wishes to you and your lovely cats. May you always be healthy, happy and prosperous,too. Hello and good morning my dear Janet and her lovely family at lake erie time 1:33am and I just want to thank you for supporting my writing and being here for me through some of my tough times in life and also I want to send you good energy for you and your family and that you may always be healthy and happy and prosperous too. You are welcome, girishpuri! I'm glad you found my hub useful. very useful hub. thanks for sharing. Thank you so much, Michelle! You are awesome! Careermommy, thank you for stopping by and leaving such a nice comment. I'm so glad to hear you could learn something from my hub. Thank you for your interest and support for my hubs. I really appreciate it. Janet, I've always wanted to learn how to do this! You've given some excellent instructions and I love the options you provide. This was such a well-written hub. Michelle, thanks for taking your time to read and comment on my hub. Your ongoing interest and support for my hubs is very much appreciated. Great process for old jeans we don't want to throw! Clipping for reference and sharing. Thank you for stopping by and reading my hub! I'm glad you liked it and I hope you will be successful in dyeing your jeans. thank you for your kind words. They mean so much to me as they come from such a creative and awesome writer. I hope you had a nice weekend. It was very hot at the weekend here in Germany. Now it has cooled down but it will be hot again on Thursday. Thank you for sharing my hub on your FB page and for visiting my website. I really appreciate your loyalty and kindness dear HubPages friend. Big hugs to you and your lovely cats who enjoy their time outside all day. I'm glad to hear that jeans are also your favorite item of clothing. I understand your concerns in terms of natural dyes. I dyed some old jeans with coffee to get a vintage look about two years ago and I liked the result. When it comes to dyeing even with chemical products you can't actually predict how the result will be as it depends on the fabric and on the dye. Sometimes it will work fine and sometimes not. I suggest you test it on a piece of cloth (denim) first to see how it will result. I'm pleased to hear you liked my hub and my line dividers. I have seen line dividers on many hubs including yours but I wanted to create my own so I have taught myself to create them by reading tutorials. Thank you for voting, sharing and pinning. I really appreciate your interest and support for my hubs. Apologies, meant to get to you before, LOVE this hub! Jeans are my favorite item of clothing and while I prefer the the faded denim I have some that I would like to dye so this has come up trumps for me! I love the idea of using the natural dyes just a little concerned if they may go patchy? Otherwise I would do the washing machine I think. Great presentation on this Janet, your line dividers are SOOOOOO COOL! Great info as always in great detail, thanks so much for sharing this . voted +++++, shared and pinned! You know Janet this is a process in which I have never thought about before - can someone buy already dyed jeans or is there more character when you do it yourself? One thing is for certain - you really know how to put a hub-fantastic presentation together with images, videos and easy to follow instructions. I shall post your awesome research and useful tips to my FB page for everyone to see and read and yes I had a nice visit of your website yesterday and left a comment. I just finished my dinner out on the deck and it's a perfect summer evening at 6:45pm Friday night and one more shift to go tonight before I have the weekend off until Monday unless I am fortunate enough to win the lottery on the weekend, lol. Big hugs from the three of us to you my dear friend and esteemed colleague and to your beloved family as well from Colin, Tiffy and Gabriel who have both been outside all day - what a life they lead! After many washings my black jeans get very faded. I need to dye three pair of them. I will try the washing machine method. Thanks for sharing these useful tips. Voted up. Hi Thelma, I'm glad you will give it a try sometime. Thank you for your interest, nice comments and compliments on my hubs. Cris Sp, thanks for stopping by. Yes, this can be quite a messy thing. I hope your daughter may find this useful. 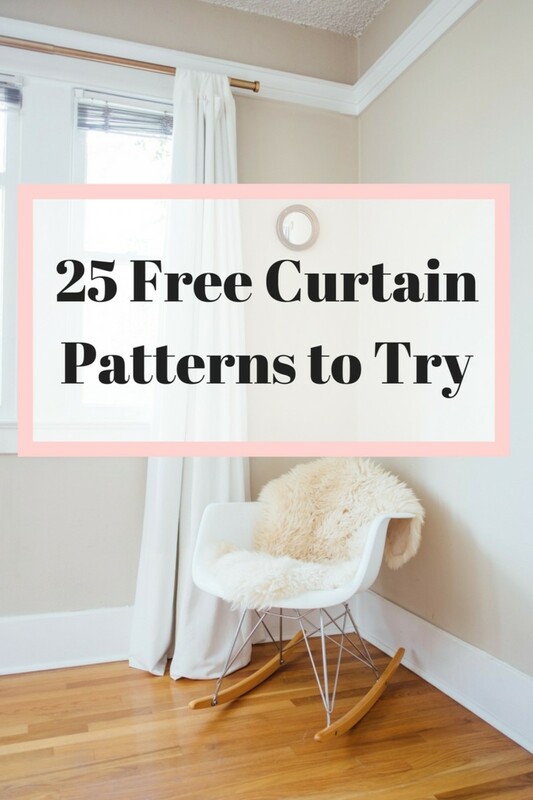 Thank you for commenting, sharing and pinning. I really appreciate it. It's such a great pleasure for me to "see" you here. Thank you for leaving such a nice comment. I really appreciate your interest. Many thanks also for "liking" my FB page. Have a nice day, too! Welcome, jabelufiroz! Many thanks for stopping by and leaving such a nice comment. I'm glad you liked my hub. Great DIY, Janet. I think I have an old jeans which needs a new color. I´ll try this sometime. Thanks for sharing this very useful and interesting information. I like the whole format of your hub. Well done! Aha! This is very interesting. Gotta share this with my daughter who is into a lot of DIY stuff. I remember experimenting on dyeing a shirt when the kids were little. We had so much fun with the colours and ended up just messing everything up. Lol! Great useful hub. Sharing and pinning. Thanks. Interesting and very useful; thanks for this great hub and enjoy your day. Useful and well written hub on dyeing techniques. Voted up and useful.